Today is the day that the September issue of Analog is out (or that was the date I was told a few months ago by the editors.) 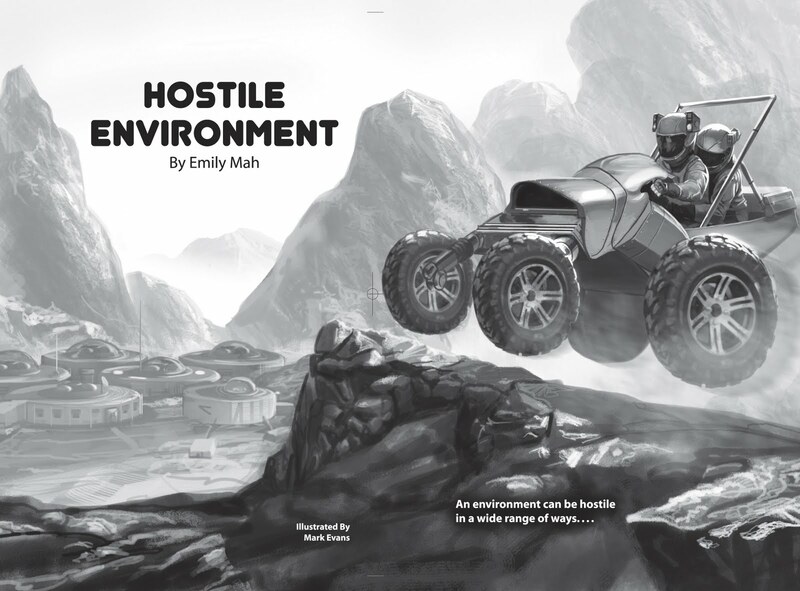 In it is my story, Hostile Environment, about a trio of teenagers, some thermite, and unexplained explosions. On Mars. CONGRATULATONS, Emily! Hope I can find this. Not to sound repetitive but a big congrats on the publication of your story! I'll have to see if I can find Analog somewhere in Taiwan or maybe I'll just do the digital thing to read it. Again, congratulations! Oh, I don't mind the repetition! Hope you all are doing well? I don't remember if I sent you an invite to our latest family album in Picasa. I'm going to go check that now. Mark Evans did my first piece of interior art, for my novelette in the November 2010 issue. Big congrats on the story publication *AND* the beautiful interior art. Nice to be sharing an issue with you. Thanks, and yes, very nice to be in the same issue. I'm still working on getting a copy over here in London, but I look forward to reading it! Hi Emily, just read your story on Analog. Great read. Keep up the good work. What inspired to write it? Thanks very much! The explosion, and the idea of how it would leave no chemical trace was the original inspiration.